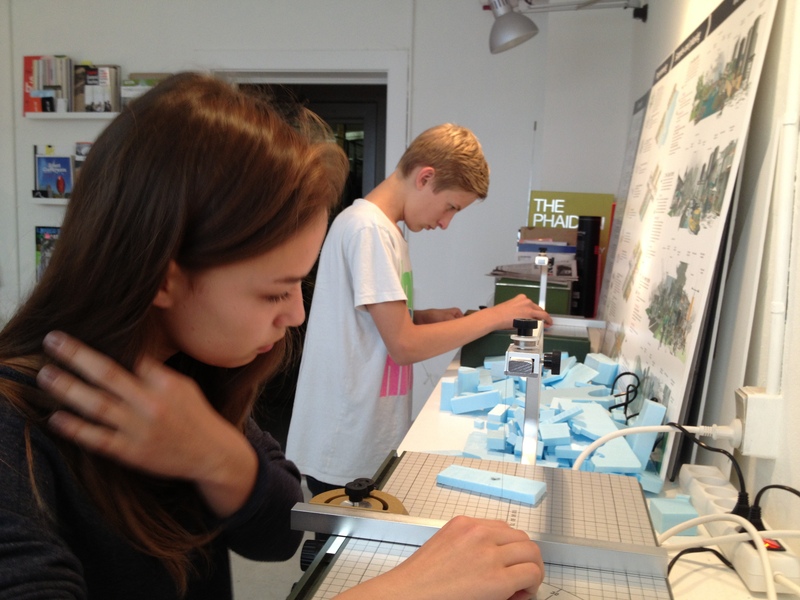 For a number of years, arki_lab has conducted year-long courses at various schools around Copenhagen that use architecture as a means to explore and discuss current urban issues. The course differs according to class, school, neighbourhood, and year, giving students a tailor-made curriculum that is relevant to them and their specific surroundings. 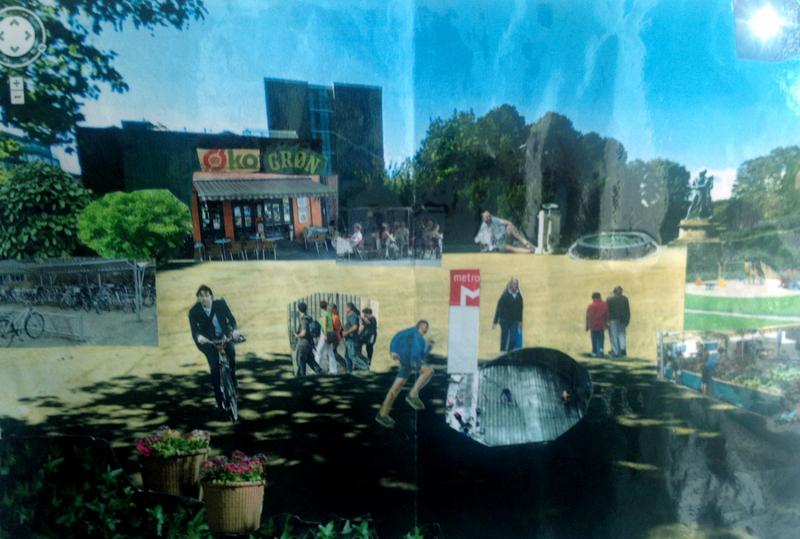 One example of this is ’Our schoolyard,’ a one-year course conducted at Sortedamskolen, which was based on current issues with the schoolyard not being large enough to accommodate 7-9 graders. As a result, they are being displaced to the surrounding streets and neighborhoods. This significantly limits the ability for them to socialize. However, the students have access to a small yard beside the school, but the remote location means the students are not using this space. 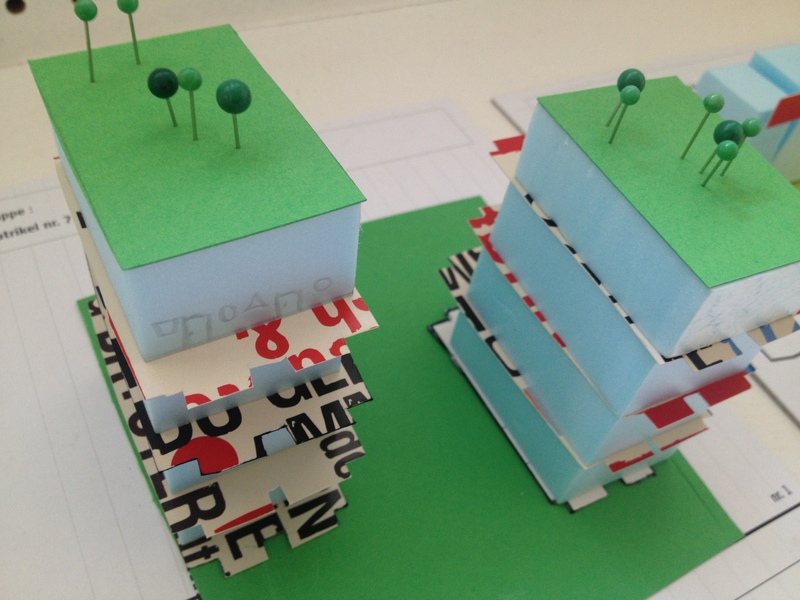 The project ’Our Schoolyard’ attempts to address this issue by providing the students with an opportunity to explore urban design with a building workshop to give form to their desires. Students are able to gain ownership of their ideas and the site so it may be occupied in the future. The course is broken down into three phases, which makes a complex issue more easily approachable, and brings different school subjects into focus at various stages of the project, to act as a framework for applied learning. 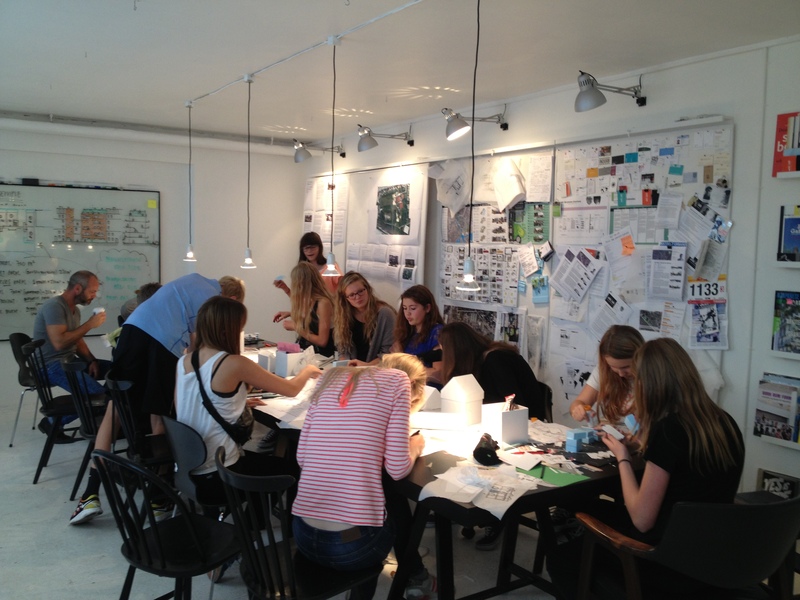 First, the students were given a lecture on urban design and the built environment. 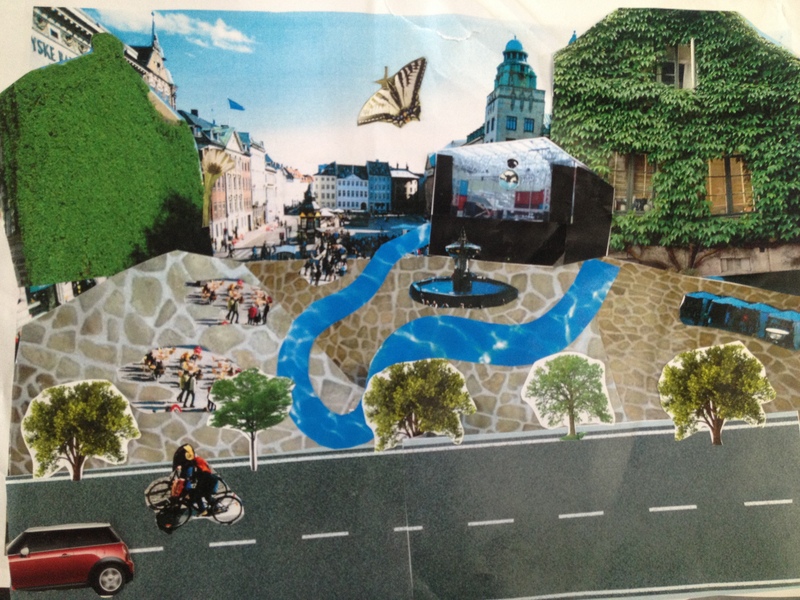 Students were the given the tasks to race around the city and explore design through interaction. 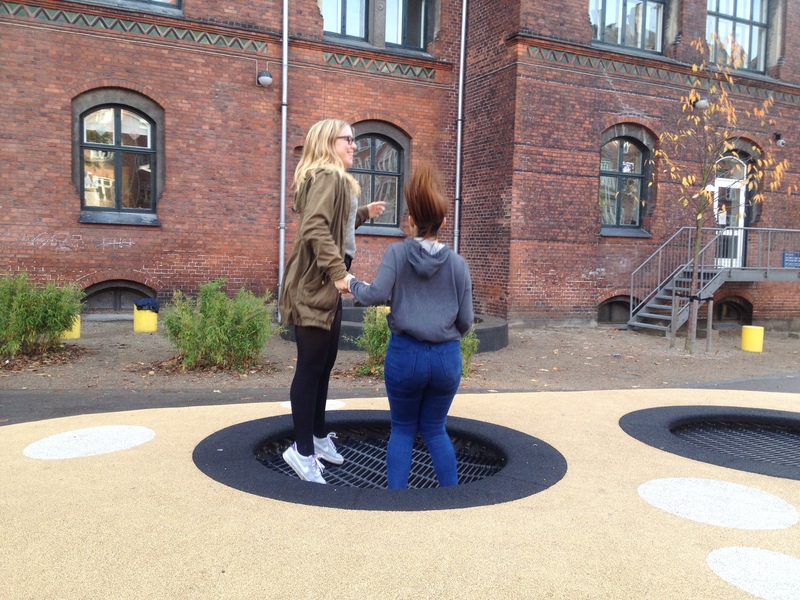 The race took place in Nørrebro where groups of 4-6 students were empowered by their personal knowledge of the city. This process gave the students a better perspective on how the school functions in society as more than just a building. The race provided new inspiration and knowledge for the future urban school grounds to be built by the students. Most importantly, the students learned how design can facilitate social activities and interaction amongst diverse user groups. Follow-up discussions took place in the classrooms during normal school hours with teachers. The students were asked to reflect on their experiences during the race. They documented a group analysis based on the 4 urban spaces they experienced during the city race. 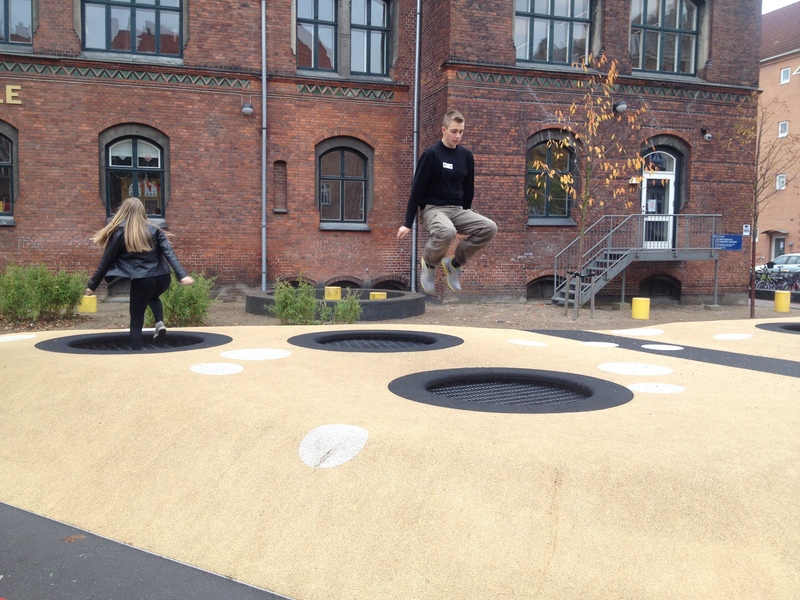 A few of the questions asked of students include: Why would you use it the school yard? How would the weather and climate affect use? What works now? What is bad about the existing conditions? 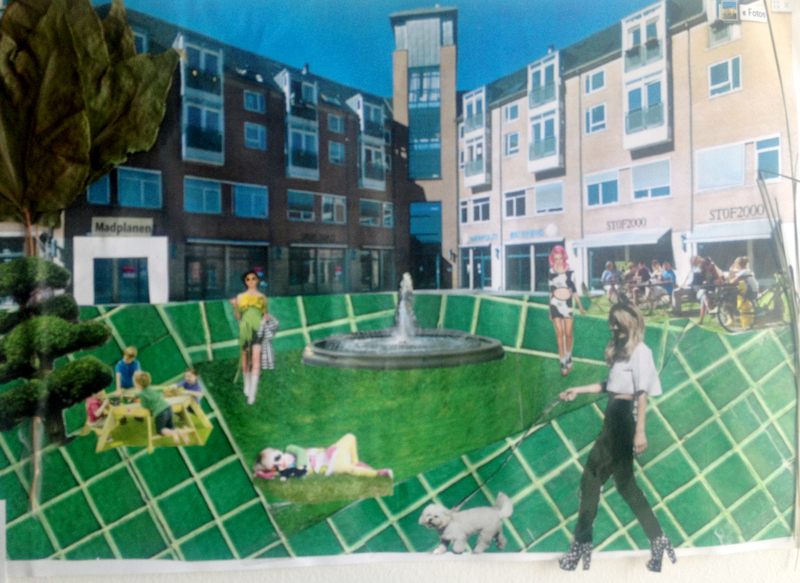 The students then began to brainstorm new ideas and visions of how their design decisions could take form in a new outdoor space. The temporary home phase primarily focuses on applying principals within subjects such as math, physics and social sciences to architectural practices. Students are given the opportunity to be architects for the day and solve real world problems by applying their newly acquired design knowledge. For example, students use mathematic equations to construct building measurements in scale to gain an understanding of how math shapes the physical built environment. Prior to the beginning of this phase, students are given a brief lecture outlining the process of how architects design buildings highlighting the importance of using mathematical equations. 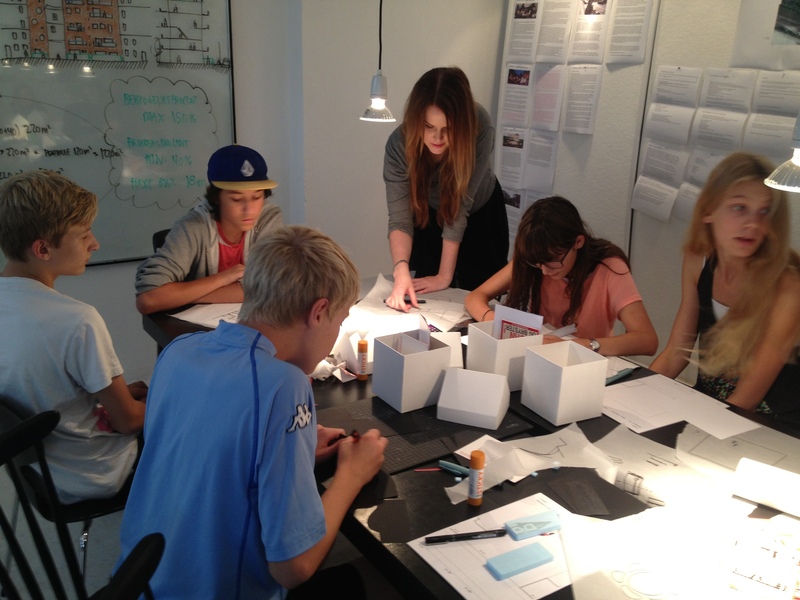 Students are then introduced to the concepts of building, design at municipal and local levels and project proposals. Once students have been informed by the lecture, they then begin to review mathematics in relation to design concepts such as open space and plot sizes. A careful look at various architectural drawings such as plans, sections and elevations with the concept of scale in mind help students to fully grasp an understanding of all facets of being an architect. Subsequently, students apply newly acquired knowledge and math lessons to find a local plan for a building site to work with later in the workshop. Important steps in the working process include calculating plot sizes, building models to scale and designing buildings and urban spaces. By teaching students how to apply mathematics to architecture, they gain real world experience and knowledge. The My Copenhagen phase links the previous two phases, Temporary Homes and Urban Design, of the school project in a final project over the course of two weeks. 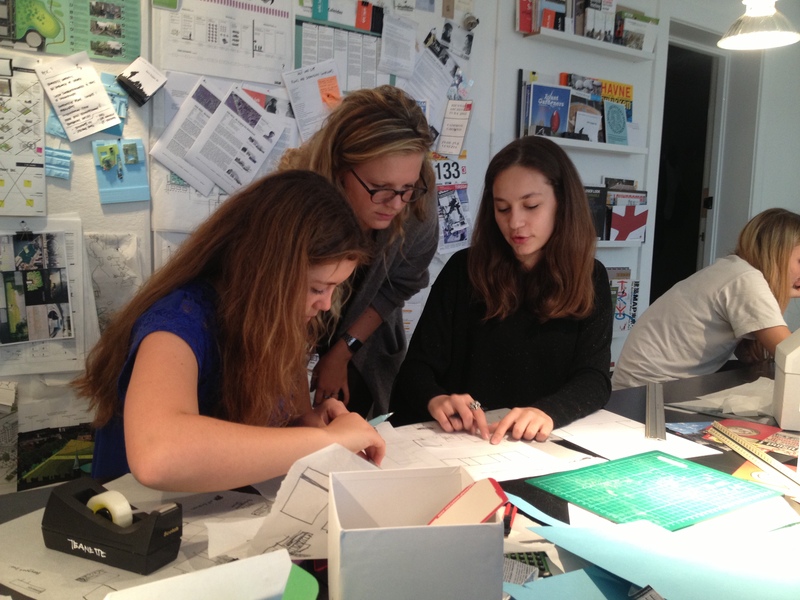 The module is an exercise on project work and allows students to work collaboratively to create a final design. The main school subjects utilized include History, Danish, Social Science and design. 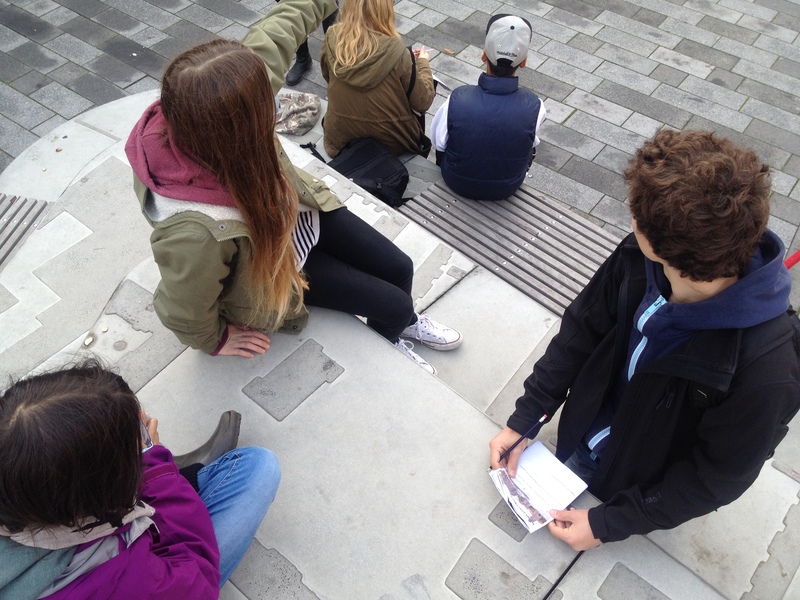 Students are encouraged to use tools and knowledge acquired from previous phases to record observations about places in the city. The module begins with an introduction to summarize the things previously learned at arki_Lab. The students learn about the importance of keeping a log book and selecting a site to observe for a week. They are then instructed to visit their selected site each day to record and observe the site. 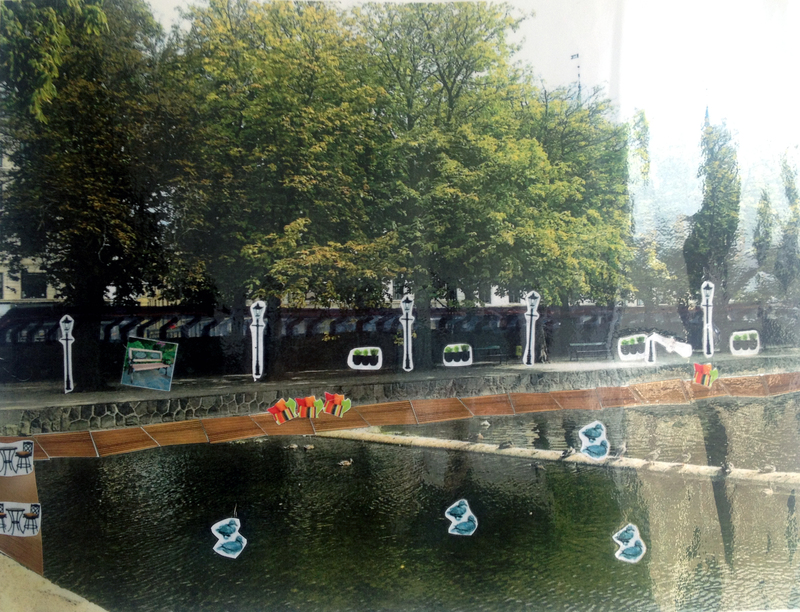 A picture is taken of the site and placed in the logbook. A range of seven sites to observe can be chosen from to work with in their project. 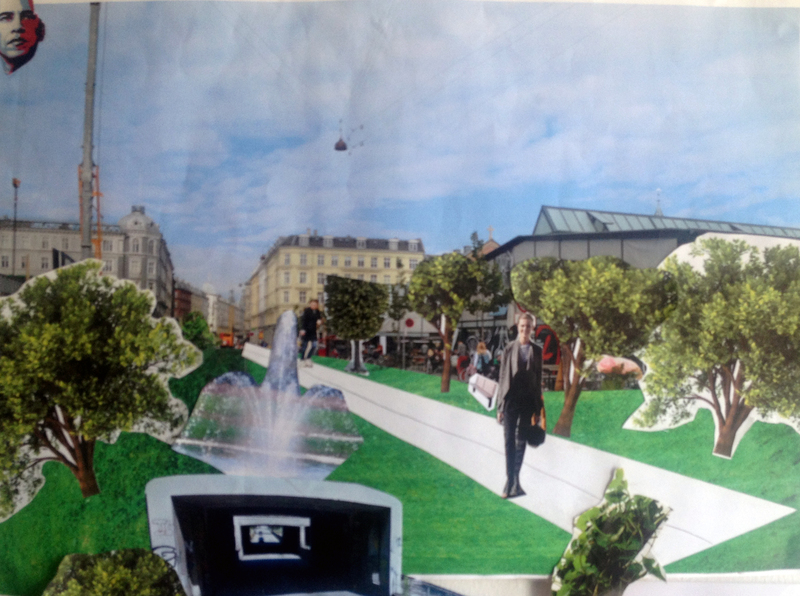 We also introduce the concept of collages and how they can be used to communicate design ideas. 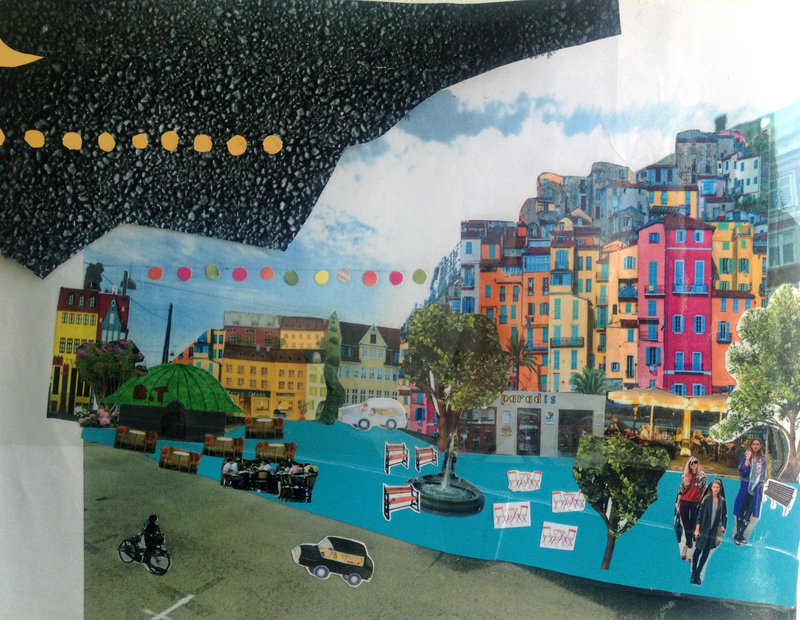 By using the collage technique for visualization, students can easy communicate an idea. Full-day workshops are held at the school where groups of students are sent to observe their selected sites. They begin to analyze and identify the site potentials and existing problems. Upon returning to school, they are given the rest of the day to work on solutions by creating collages. The next day, students are introduced to film making and interview users about their selected site. At the end of this phase, students present their design and film to members of the school and the arki_lab team. The final presentation is similar to the structure used in a firm and serves as an appropriate conclusion to this phase of the module.